The AAA Four Diamond award-winning Chaminade Resort & Spa is a spectacular mountaintop retreat in Santa Cruz. Our historic Mission-style resort overlooks sweeping views of Monterey Bay and the Santa Cruz Mountains. 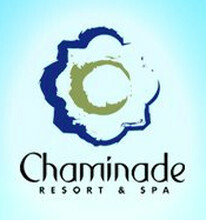 Chaminade is a luxurious destination for executive meetings, special occasions and getaways. Enjoy color palettes inspired by California coast, contemporary Spanish furnishings, and world-class amenities. Chaminade is just five minutes from golf courses, the beach and downtown Santa Cruz. With so many activities and on-site dining, escape to a haven of unsurpassed service. Chaminade is the first hospitality business in Santa Cruz County to receive a “Green Business Certification” for its environmental efforts. Complimentary valet parking is just one perk this mini-resort has to offer. Tucked in the eucalyptus groves of the Soquel hills, Chaminade affords views of west- and east-side Santa Cruz all at once. With live dinner music and a bar that has a well most dives would kill for, this place guarantees you a classy time.